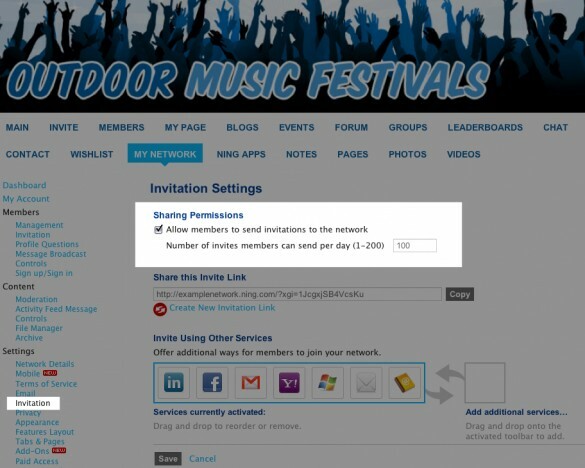 To prevent your members from sending invitations to others, go to your My Network tab and click on “Invitation” under the Settings section. If you wish to enable it in the future, simply return to this page and check the box. You will then be able toÂ choose how many invitations your members can send each day.